There are a number of villages and towns along the Tour du Mont Blanc and they have different levels of accommodation available. In the bigger towns, such as Chamonix and Courmayeur , there is a whole range from hostels with dormitory-style rooms to five-star hotels with pools, restaurants and gardens. Along the trail, however, most accommodation is between one and three stars and most have been run by the same family for generations. The average cost of a standard two or three- star hotel will be in the region of £60-90 per person per night for dinner, bed and breakfast and many will have attached bathrooms. In addition to hotels there are the mountain huts or refuges where you will sleep in large dormitories with communal bathrooms. Obviously the latter are cheaper and will be around £35-55 per person per night with dinner and breakfast. Prices tend to be much higher in Switzerland for hotels and refuges. Traditionally the trek was done over a two-week period, but now most people opt for an 11 or 12 day holiday which includes time for airport transfers and a rest day mid-way through the trek. The trek can also be done in a week, but you would either have to walk very quickly or miss out some sections and take public transport. You budget will largely dictate where you will spend the night and how long you take to do the trek. The longer you take the more it costs. On a comfortable guided trek with luggage transfers you should expect to pay around £130-£150 per day. If you go self-guided and stay in dormitory accommodation and carry all your own gear you should allow £60-£80 per day. This is linked to your budget and time available, but also based on your fitness and speed of walking. People tend to walk 12-22km each day and the terrain is on well-maintained paths, but most days involve significant ascents and descents over mountain passes and so what might be a comfortable 15km walk at home will be a different experience in the high Alps. It is possible to find somewhere to stay every three hours or so, but if you want to stay in comfortable hotel in villages then you will be doing 12-22km each day and expect to be outdoors for about eight hours. The difference between the two is obvious and comes down to individual choice. Some people like the security and knowledge a trekking Guide can offer and the camaraderie of a group of like-minded trekkers. Others prefer to go it alone or perhaps as a couple and doing all the route finding and organisation themselves. Some self-guided people go in between the two and instruct a local trekking agency to book their hotels and nothing else. If you book it all yourself you need to be sure the accommodation booking is secure and you have timed it well so that each day is not too long. If you book a guided or self-guided trek through a trekking agency be sure to check exactly what is and is not included. Whilst some agencies look very good value – and some alarmingly cheap – you may find it does not include luggage transfers, transfers to and from the airport, lunches, cable cars and whether you are in large dormitories or comfortable twin-bedded rooms. And these costs can stack up very quickly. It is also of note that some agencies offer exactly the same as another agency, staying in the same accommodation, but charge 50-100% more for no obvious reason. 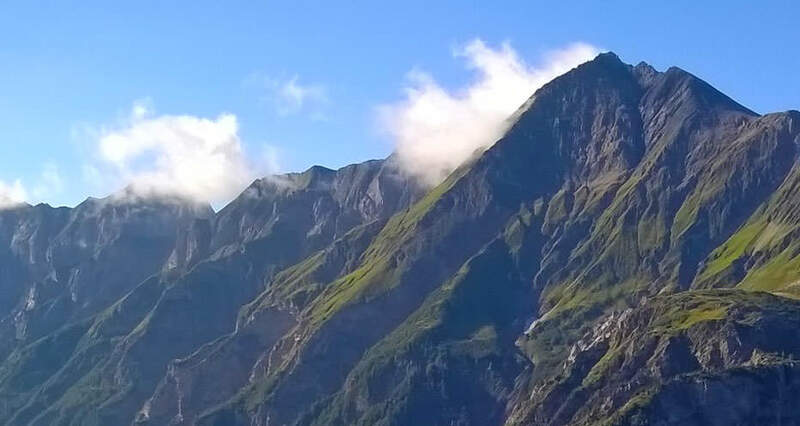 Always ensure that your trekking Guide is qualified and affiliated to the British Association of International Mountain Leaders (BAIML) or the French equivalent, Syndicat Nationale des Accompagnateurs en Montagne (SNAM) or the Swiss equivalent Association Suisse des Accompagnateurs en Montagne (ASAM). A qualified leader on the Tour du Mont Blanc is a legal requirement and the Gendarmerie occasionally arrest unqualified trek leaders on the TMB. To complete the whole Tour du Mont Blanc and enjoy it, it is imperative to get fit before you go. The full trek involves 8-10 days of walking 12-22km per day and crossing high mountain passes on many of the days. Multi-day treks require you to build up your stamina and endurance and be mentally prepared so that you complete each day without feeling exhausted. If you think that you can get fit whilst on the trail, you might want to think again!